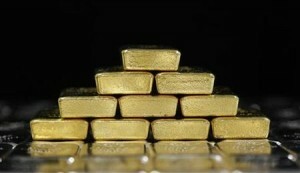 [title] => Gold Markets "Twist" But Can It Last? Many have warned of a down swing on gold for some time but it seems every time financial analysts count the gold market down, generally when it takes a brief dive for some sort of political maneuvering, it bounces right back up. The gold market was dealt another set-back this morning as gold prices slid behind the dollar due to announcements of the Feds new "Twist" plan. As is always the case, any action Ben Bernanke and the Fed chose to make towards propping up the value of the dollar and reassuring markets generally comes down negatively for gold prices. Yet seemingly every time this occurs a few weeks pass by and the gold market has completely rebounded and in many cases out done previous highs. It is a trend of three steps forward, two steps back then four steps forward and it has been a boon to NYC gold refiners. Buying and selling gold currently offers a fairly reliable return on investment in spite of occasionally hiccups. Gold refineries in New York and globally, not to mention gold investors and sellers, have ridden this occasionally bumpy road and in the long haul come out on top. Even with today's slight set back it would be a fool's bet to count gold out. Maybe you were one of those people who bought in on gold jewelry a few years ago when the prices were just starting to sky rocket. You may have gotten a ring for $200 and realize that now you can sell it for double. Or maybe you had some gold jewelry passed down to you from grandma who knew it may be worth something more eventually. It's a good investment to make in such precious materials. A gold party can let you maximize the money you get on a great piece of gold. Gold parties are so simple to set up and throw. It creates a nice social environment, brings the selling experience to the comfort of your own home, and lets you really have the time to talk in depth with the representative that is there to help you get the most bang for your buck. Now is really the time to get the most back for what you spent on your gold before. Whether it's a small brooch or an intricate necklace, you are going to find you'll be making back on the wise investment you made before. You and all your friends you invite to your gold party, of course! Fashion changes so fast. Staying on trend means knowing which items in your wardrobe to keep and which items to sell. You don't want to be caught wearing something démodé when you could be wearing the latest and most fashionable accessories with your clothes. Here's the catch: gold will always be popular. It will always be trending. 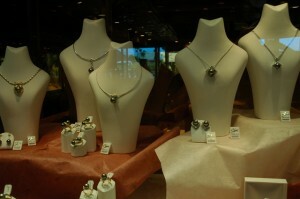 However, the style in which the jewelry is designed will change from season to season. For each coming season (Fall/Winter 2011-2012 is going to be big on gold) you need to go through your jewelry box and clean out the outdated jewelry and replace it with some new gold jewelry. Filter out the pieces that don't work and set them aside. 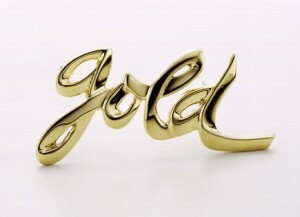 Now comes the part where you sell gold jewelry NYC gold buyers will be willing to take off your hands. Take the most valuable pieces you own that you do not want and have them appraised by accredited NYC gold buyers. Since gold is such a fine and soft metal, the jewelry will more than likely be an alloy composite. Silver, copper, and palladium are the most popular bases for gold jewelry. You can figure out the cost of the gold (and the jewelry in total) by the weight and percentage of each metal. Take that money from selling gold in NYC and put it towards your new jewelry. The better the prices you can demand, the better the accessories you can get with your profit. Last night marked the 63rd Primetime Emmy Awards. There were plenty of hits and misses on the red carpet, but one hit for just about everyone was their jewelry. The women of TV were all decked out in platinum and diamond jewelry. Gwyneth Paltrow's ears were adorned with platinum and black and white 7 carat diamonds, not to mention a diamond bracelet and ring. Julie Bowen also opted for black and white diamond earrings and a bracelet with both diamonds and onyx. Jayma Mays topped her hair off with a 10 carat diamond brooch. That's just to name a few. The list was an extensive one and it's not difficult to understand why diamonds and platinum shine so brightly on the red carpet. Both are of the highest quality and platinum's high density makes it the most durable metal. Too bad most of the jewelry is just on loaner for these stars. If one were so lucky to own them, they could really cash in a fortune for selling diamonds and platinum. Both are extremely valuable and while many are turning to gold jewelry, you can make quite a bit more with diamonds. Gather up your diamonds and sell diamonds for cash today. Silver is so much more affordable than gold to buy and resell in a few weeks or months. Everyone is kind of tense about the economy and so has weird feelings when I'm sitting on the subway. My friend Chris, who is weird, but totally intelligent, hopped on this silver train a few months back. He bought five ounces and he's waiting for the price to go up so he can sell them and make serious cash, or like fifty or sixty bucks. His silver ounce bars have unexplained mushrooms on them, which contributes to the weirdness of the whole situation. He once mentioned to me that he wanted to wear one of his silver ounce bars around his neck, but drilling a hole in the silver would mean that the weight would no longer be one pure ounce. So he's kept his silver bars in their plastic wrap. Selling silver is more feasible if you have it lying around and want to make some extra money. As I write this, silver is worth $39.50 per ounce. That's not bad. In the future, if I were you, I'd check out your spoons and old jewelry. You make the real money when you sell silver jewelry, not buy a few silver bars. Predicting the comings and goings of the economy is not an easy task. If it was things would likely be a whole lot more comfortable for everyone. There are basic rules that one can observe to make some assumptions about how things in the stock market or in say the price of gold at a NYC gold refinery might react to certain mitigating factors. We can monitor business to know when product launches or leadership changes might rattle or boost confidence in a particular business. Still that is only ever a guess, which is what leads us to what might be the most significant variable to try and get a hold of. Risk is what drives the prices at gold refineries in New York and around the world. More specifically people's willingness to take risks when investing their money. Should they feel a certain confidence in an industry or company, and should they have a willingness to put their money at risk of depreciating significantly or worse disappear completely, they'll invest in stocks. Should they feel a need for the security of knowing full well that their money is accounted for in a vault somewhere with corresponding gold bricks for every digit in his or her bank balance, then it looks like gold is your answer. Gold Markets "Twist" But Can It Last? Many have warned of a down swing on gold for some time but it seems every time financial analysts count the gold market down, generally when it takes a brief dive for some sort of political maneuvering, it bounces right back up. The gold market was dealt another set-back this morning as gold prices slid behind the dollar due to announcements of the Feds new "Twist" plan. Maybe you were one of those people who bought in on gold jewelry a few years ago when the prices were just starting to sky rocket. You may have gotten a ring for $200 and realize that now you can sell it for double. Or maybe you had some gold jewelry passed down to you from grandma who knew it may be worth something more eventually. It's a good investment to make in such precious materials. A gold party can let you maximize the money you get on a great piece of gold.